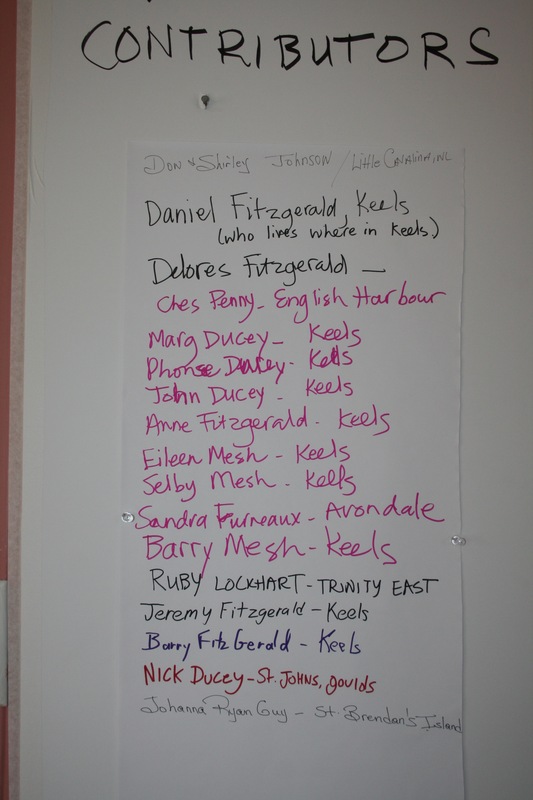 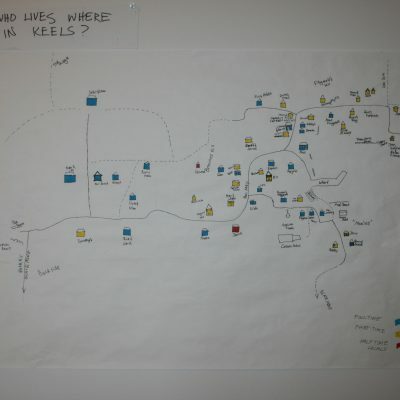 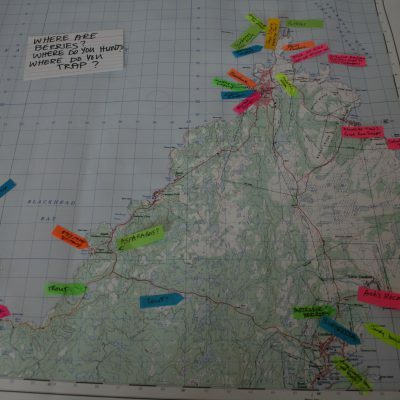 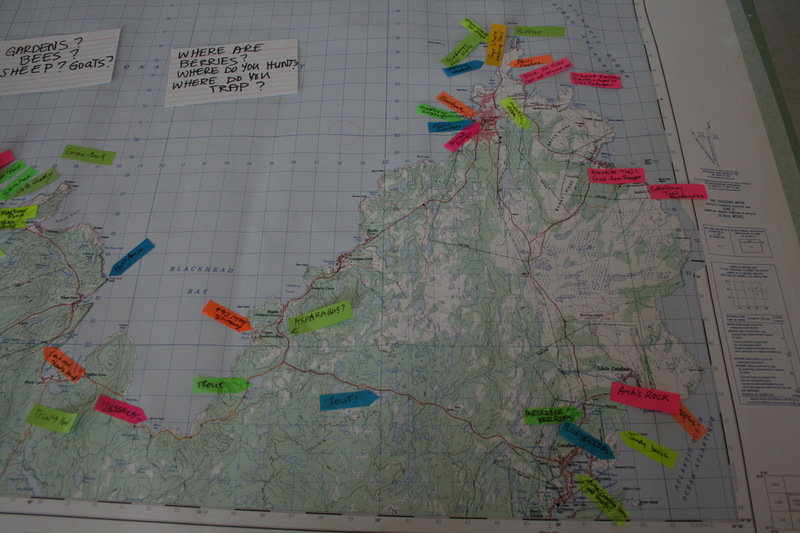 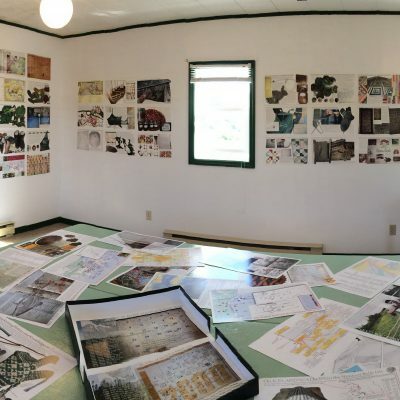 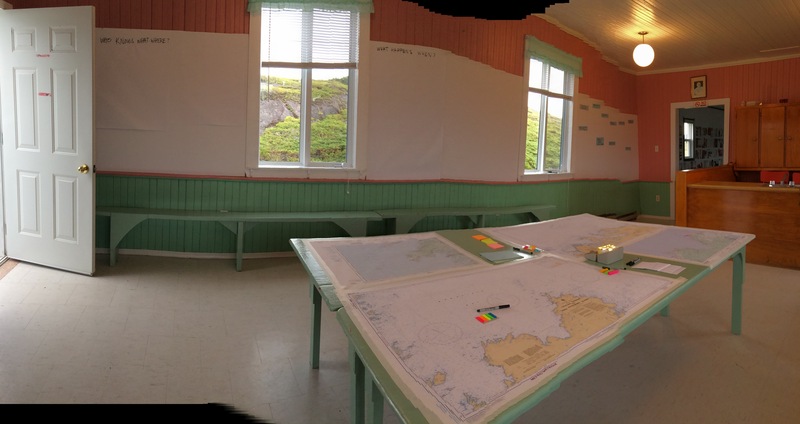 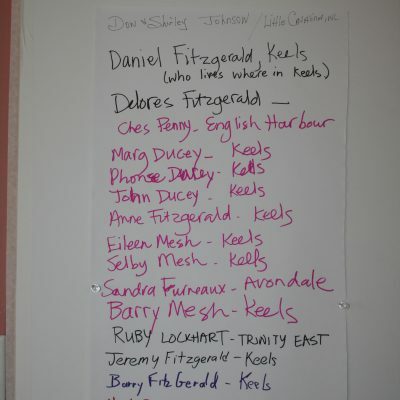 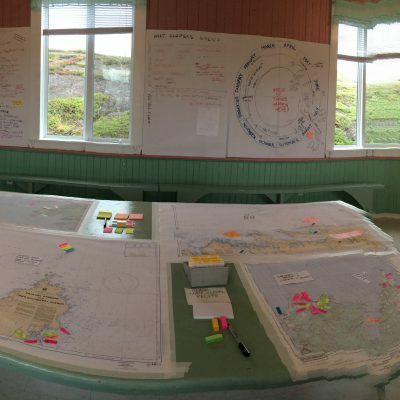 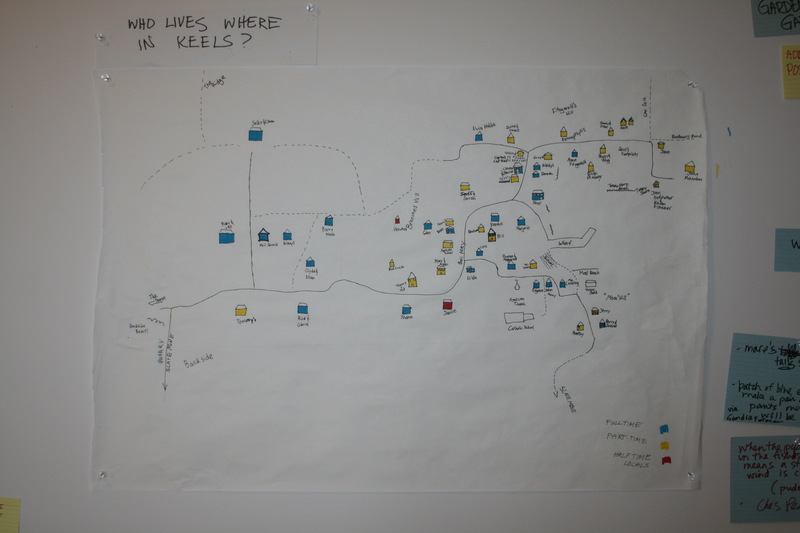 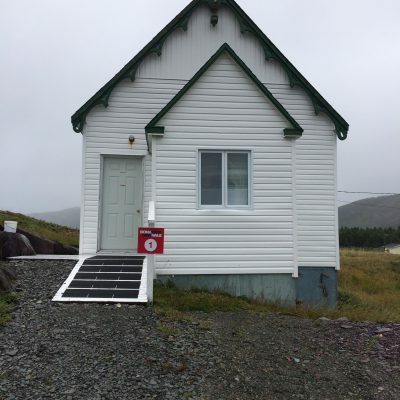 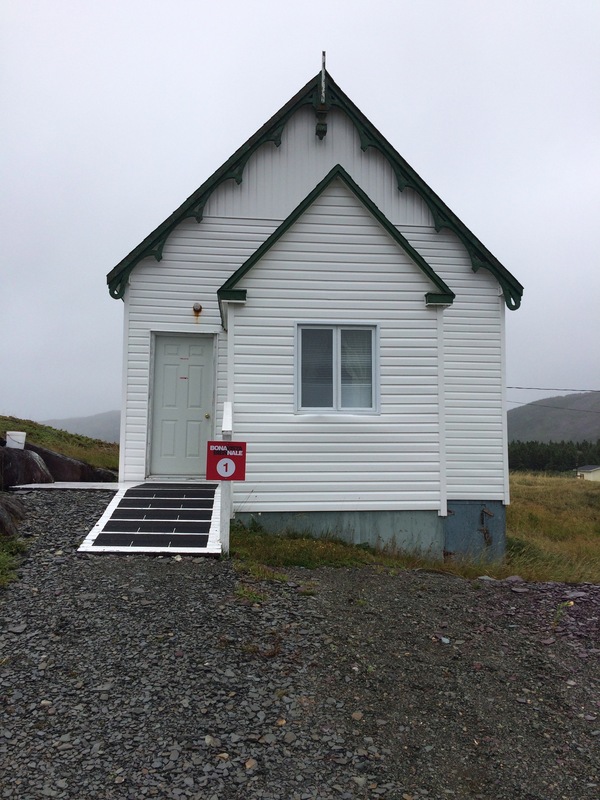 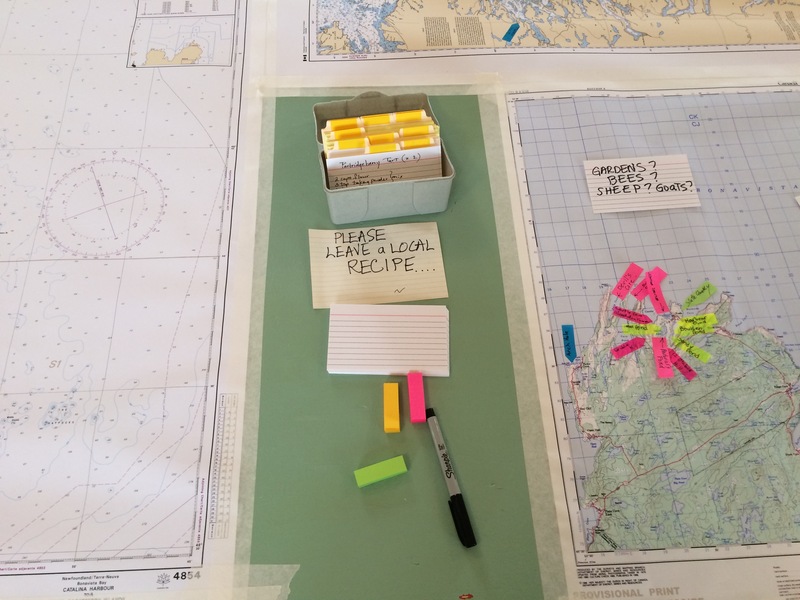 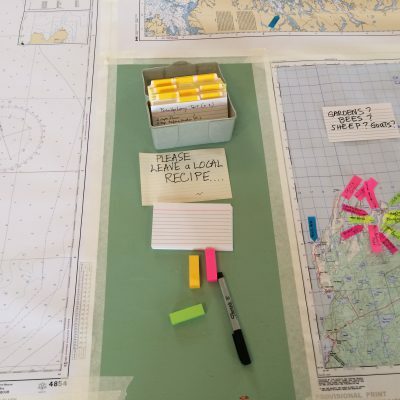 In concert with her Bonavista Biennale exhibition of Towards an Encyclopedia of Local Knowledge (ELK), Hall undertook a community residency on site in Keels, to engage directly with visitors and community members in the gathering and revealing some of the local knowledge from the region. 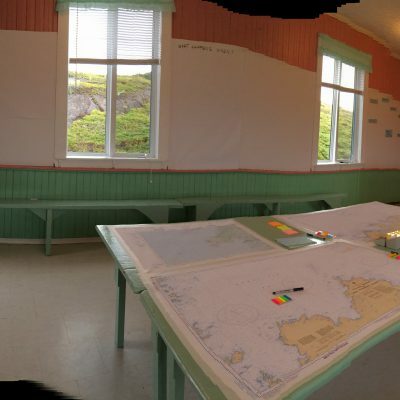 Visitors to the exhibition would gain some knowledge from the ELK in one room and contribute some of their own local knowledge in another. 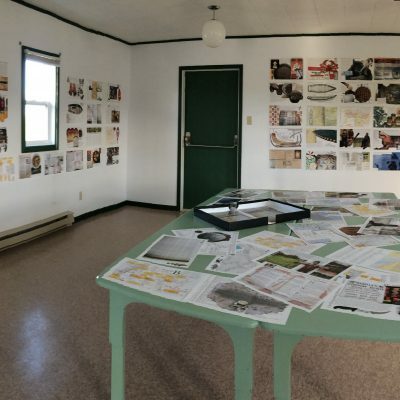 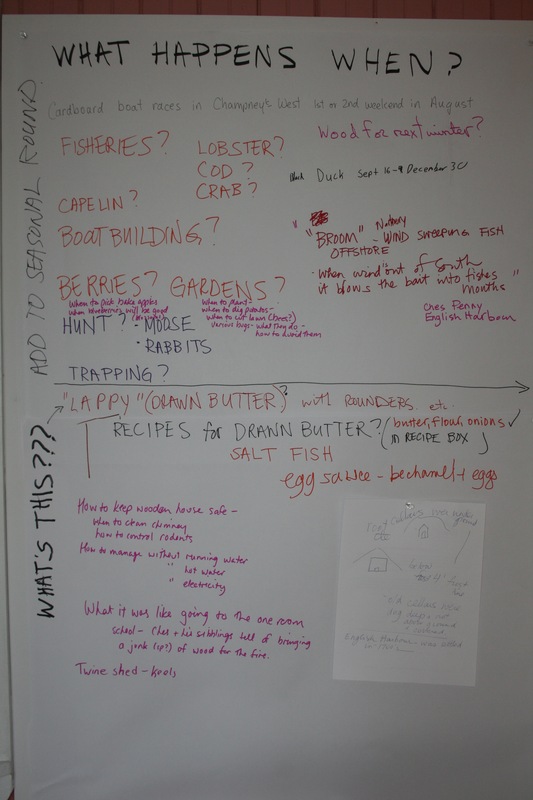 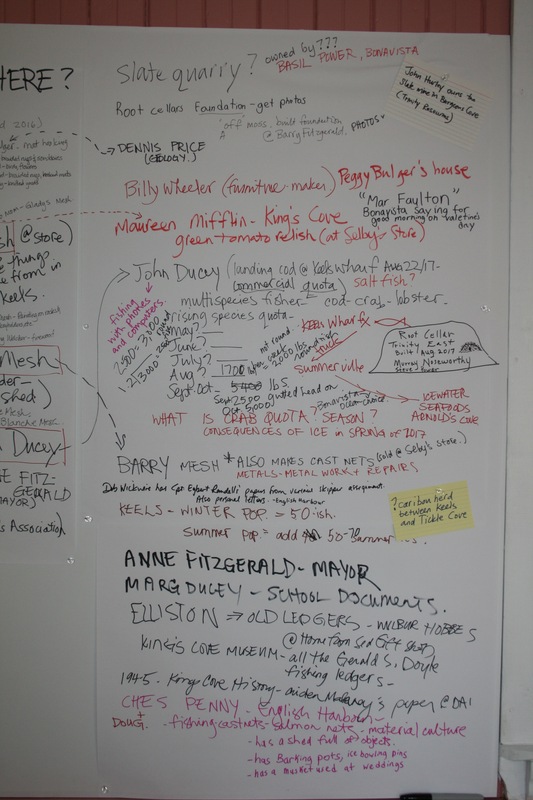 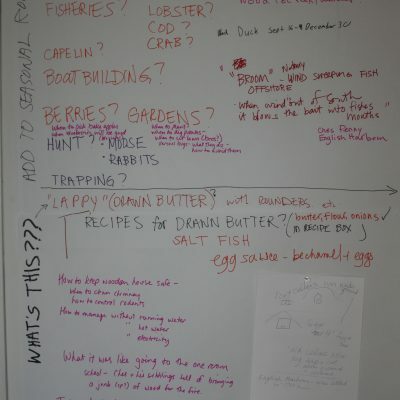 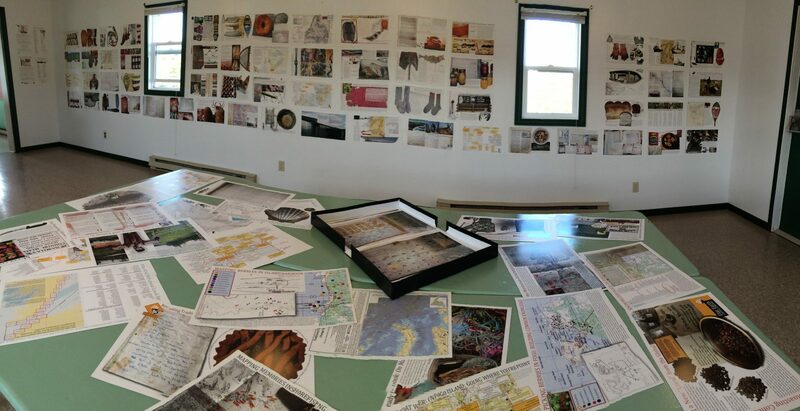 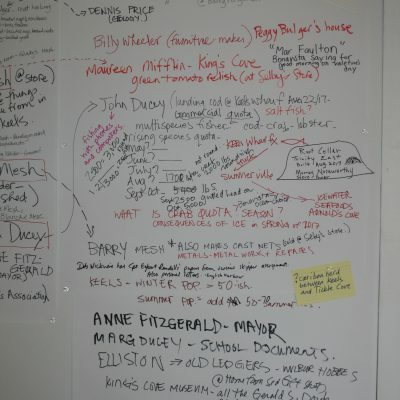 Blank walls, map tables and recipe boxes filled over the course of exhibition with knowledge on where things are to be found, how to make things to eat or use, and Who Knows What about What in the local community. 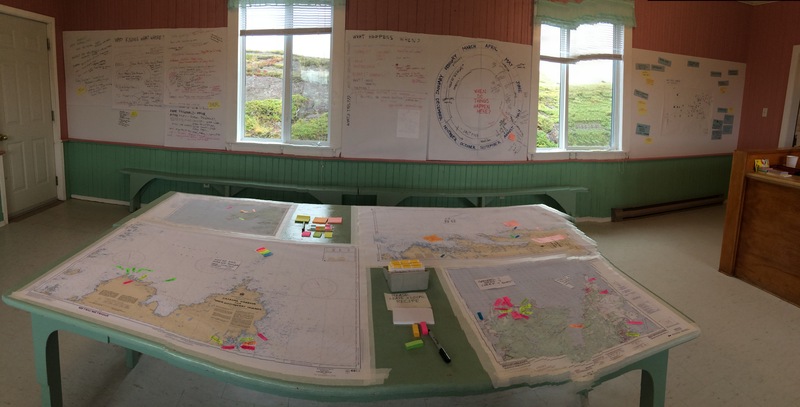 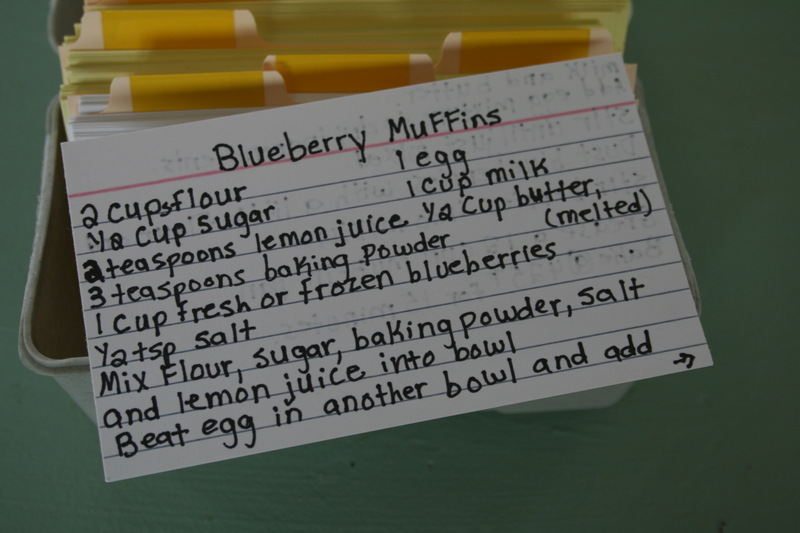 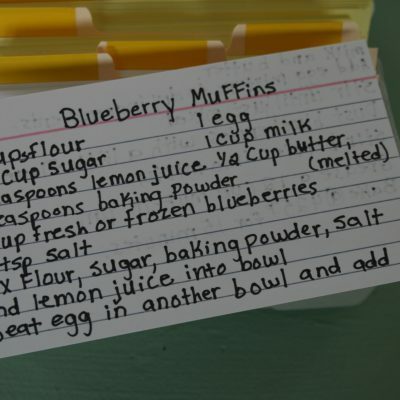 Knowledge will always call forth more, and the Exchange was successful as both a community encounter and a research method Hall will use again in her ongoing collaborations with others.